Upon arrival at Islamabad International Airport. Meet, assist and transfer to the hotel. Overnight in Rawalpindi/Islamabad. (No meals). Breakfast at the hotel. Drive to Besham. En-route lunch at local restaurant. Dinner & overnight in Besham. (Breakfast, Lunch & Dinner). After breakfast drive to Gilgit along Karakuram Highway. On the way lunch in a suitable restaurant. 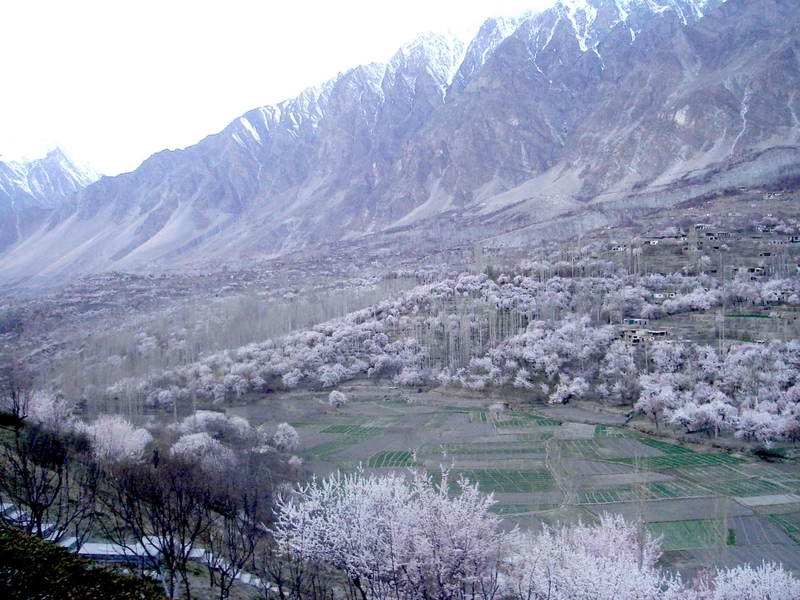 Gilgit is administratively capital city of Gilgit/Baltistan and business hub in the region. Its ancient name was Sargin, later it is locally known as Gilit. Gilgit was an important city on the Silk Road, along which Buddhism was spread from south Asia to rest of the Asian countries. Arrive and transfer to the hotel. Dinner & overnight in Gilgit. (Breakfast, Lunch & Dinner). Breakfast at the hotel. Morning excursion to Bagrot Valley. Bagrot valley is 35 kilometers away from Gilgit city, and is one of the antique villages in the region where the culture of the Shina people still remains as pure as the environment of majestic Karakuram. 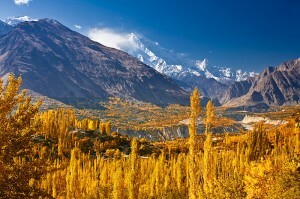 The village itself is situated near a spectacular glacier which links Bagrot mountains with Rakaposhi. The local historians says that the culture of Gilgit start off here and then extended to other parts of the Gilgit valley. The people of Bagrot are very simple who welcome all guests with traditional hospitality. After lunch drive to Karimabad Hunza. Arrive and transfer to the hotel. Breakfast at the hotel. Early morning proceed to Duiker to view Sunrise by Willy Jeep. Lunch at the hotel. Afternoon visit Nagar Valley, Baltit Fort and Bazaar. Baltit fort (Museum) was the old palace of the Mirs of Hunza and was settled until 1960. It is more then 700 years old. 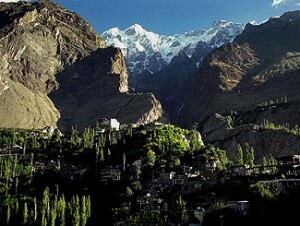 Baltit is a questioning long-winded old place and has four stories, strongly built of stones, sun-dried mud and wood. Baltit is built on a cliff edging at the back side; it is a gorge and then the Ultar glacier shining in the sunshine. The structural design here, as at Altit Fort, reflects a Tibetan influence. The local people says that a Princess of Baltistan get married a time in power Mir and brought with her Balti masons, carpenters and craftsmen to build Baltit and Altit as part of her gift/dowry. In the ‘museum room’ are coats of mail, weapons and the warning drums that sounded the alarm in an attack. The view from the top of the fort is well worth the climb. Breakfast at the hotel. Morning drive to Chilas. En-route lunch in Gilgit. After breakfast drive from Chilas to Swat via Shangla Pass. On the way lunch at Besham. The drive during the day is an experience of huge diversities. Turning off from Besham to swat valley towards west, we start climbing the Shangla Pass (6,683 ft / 2,042 m). The top presents the most gorgeous views of the adjacent mountains whose slopes are laden with alpine trees, at faraway distance, the Swat Valley with the river is also visible. Transfer to the hotel. Breakfast at the hotel. Proceed to visit Swat Museum, Butkara, sites & Mingora Bazaar. The museum in Saidu Sharif has a huge compilation of Gandharan sculptures collected from some of the Buddhist sites in Swat Valley. There are some local embroidery, carved wood, rare coins & tribal jewelery displayed. Mingora Bazaar is the business centre which is important to visit, one can locate emeralds, for which Swat Valley is famous in this region. Then carry on to Murghazar where you will visit the old white palace constructed from white marble and ornamented with elaborated carvings. After breakfast drive to Islamabad en-route visiting Taxila and sights. 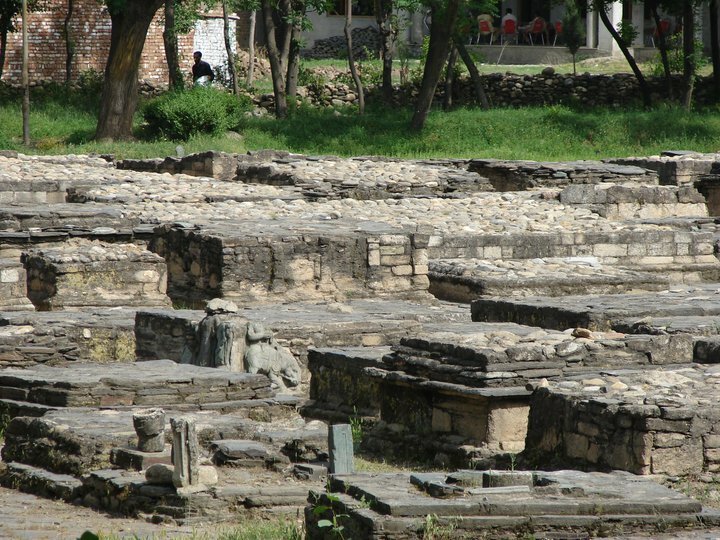 Taxila is 40 kms away from Islamabad the capital city of Pakistan, was once the seat of Oriental civilization. In 6th century B.C, It was first talked about as a satrapy of the Archemenian Empire. It was attacked by Alexander the Great (Sikandar-e-Azam) & passed along to other monarch until finally he reached the hands of Ashoka, who give the shape of the city into a learning and cultural centre. The original Gandhara era pursued in a while. 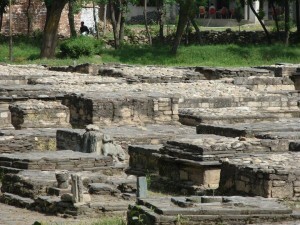 After that Taxila remained the centre of learning, thinking and sculptures. It came to a devastating and pitiable closing stage when sacked by White Huns. Today, here is a well-maintained museum & eight sites sprinkled in the region of a very short radius. Amongst the best conserved are Sirkap, Jaulian (the University) and Mohra Moradu. Arrive and transfer to the hotel. Dinner & overnight at the hotel in Rawalpindi/Islamabad. (Breakfast, Lunch & Dinner). Breakfast at the hotel. 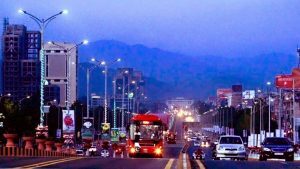 Morning proceed for full day city sight seeing of Islamabad. 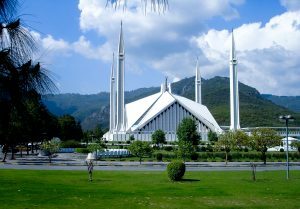 Our sightseeing tour will start from, Faisal Mosque, Shakar Parian & National monument with a trip to Damn-e-Koh, to catch an eye bird view of the twin cities & Saidpur Village. Lunch at the hotel. In the evening after dinner transfer to Islamabad International Airport for home bound flight. (Breakfast, Lunch & Dinner).